The wildlife park Gaugenwald near Neuweiler is a small park, especially suited for families with children. In the wildlife park Waldmössingen near Schramberg has mostly animals from the Black Foret. 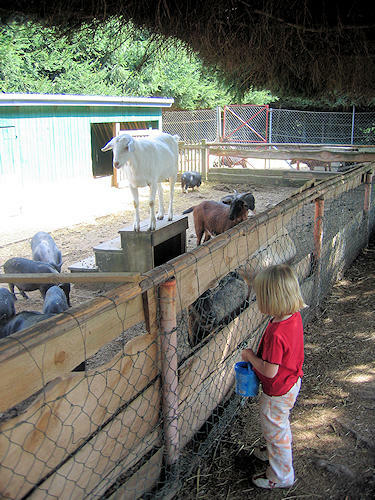 The Black Forest Zoo in Waldkirch shows bears, Lynx and many other animals, and a petting zoo. The Steinwasen park in Oberried is a leisure park mit many attractions, in the associated wildlife park more than 20 species can be seen. The Black Forestpark Löffingen is a leisure park, futhermore many animals can be watched, as well as some presentations, e.g. the feeding of the wolves or the falconry. In the Wildlife Park Waldshut a lot of animals can be watched, it also provides a big playground, barbecue place, an kiosk.